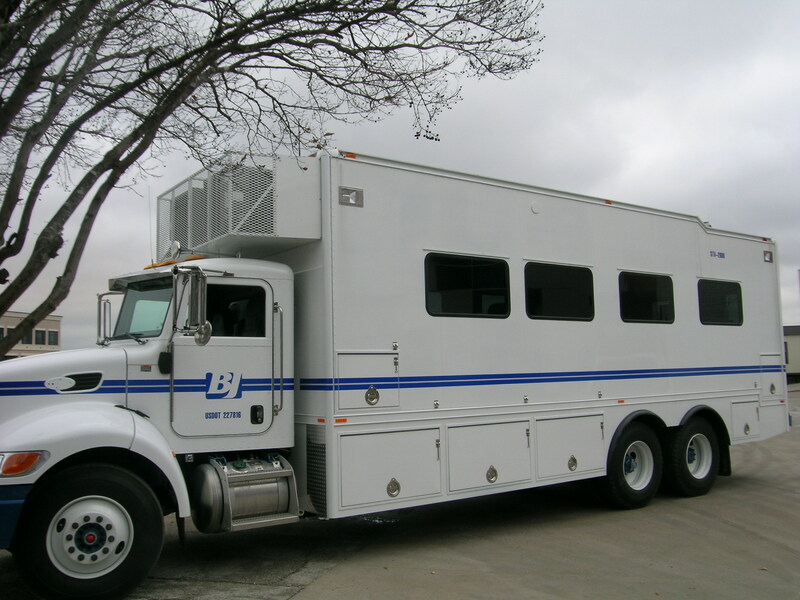 BJ s Stimulation Treatment Vehicle (STV) 2600 (oilfield specialty vehicle) incorporates the latest technology and sophistication in modern treatment vehicles used out in the oil field industry. The STV-2600 chassis has a robust design to handle rugged lease roads. BJ s own proprietary data acquisition system, Isoplex; and software program, Job Master ensure the capturing and display of treatment information. 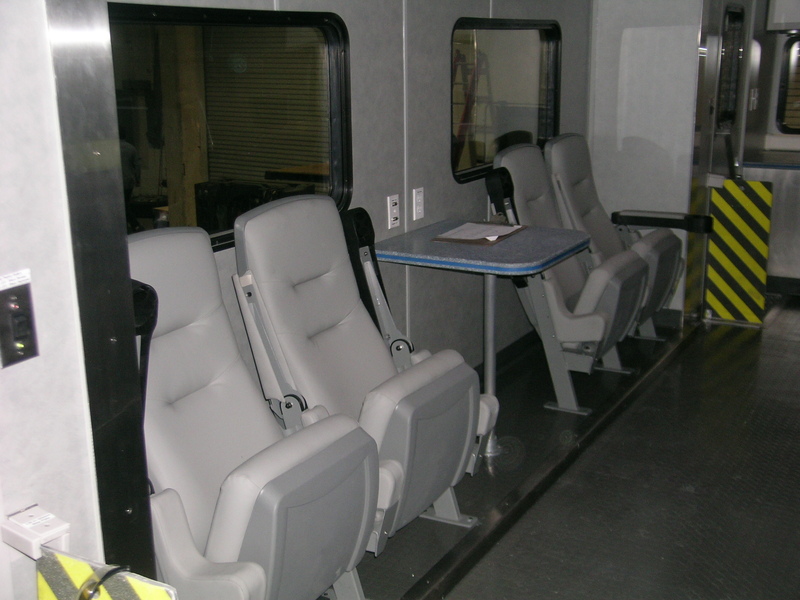 Expando System - Motorized cog drive slide out system is incorporated into the vehicle’s structure and easily accessed for routine maintenance. Movement is 12V DC controlled and operated by a single switch conveniently located within housing. Slide out includes Shook’s ridged self deploying aluminum awning to resist weather ingress. 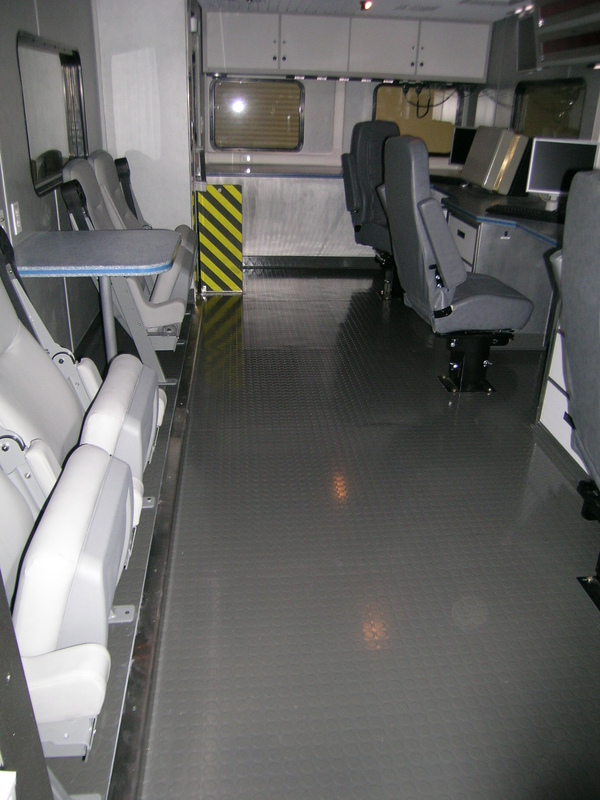 Shook offers multiple slide-out systems with features such as folding floors and ceilings to maximize your floor space. Central A/C - Dual 2.5 Ton Commercial Quality Split Central Air Conditioning system with Shook’s exclusive Hot Gas Bypass system which prevents the compressor cycling on and off which create power spikes. This system also heats, eliminating any need for wall heaters. 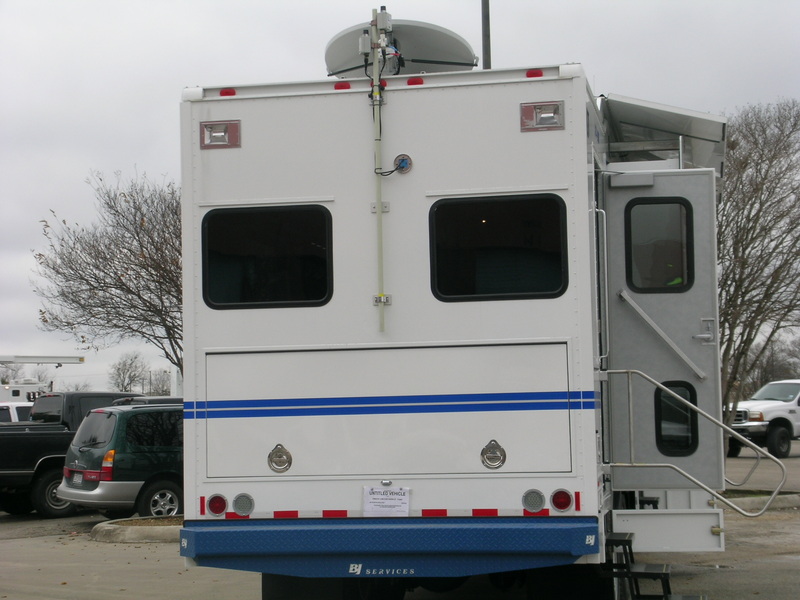 Lastly, the system also pressurizes the cabin and prevents dust entering the van. System is controlled by digital thermostats for accurate temperature control with each unit operating independently of each other for added redundancy. Interior Upfit - Formica FRP Select™ is innovative decorative wall coverings which combine the proven performance of Formica® brand decorative melamine surface technology with the strength of fiberglass reinforced plastic panels. The toughness of the wall panels gives unsurpassed impact resistance. These panels are also easy to clean and are resistant to moisture, mold and mildew. 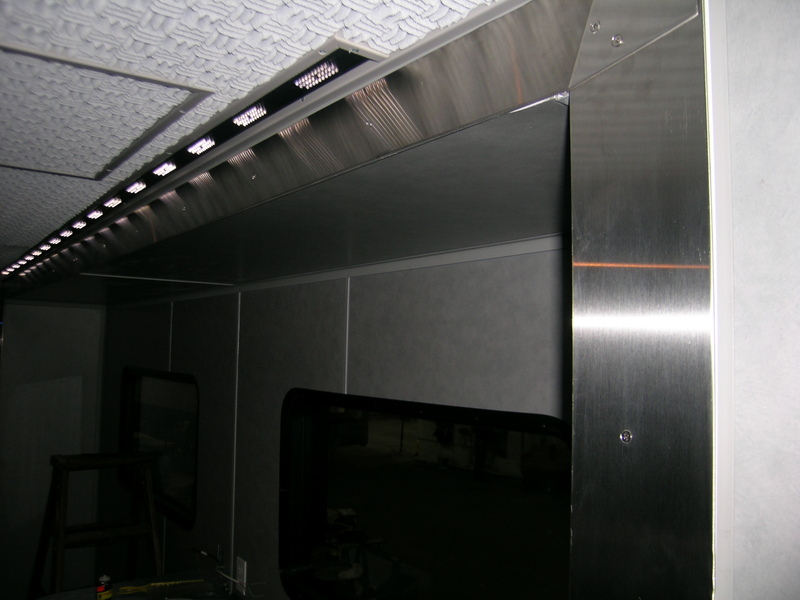 Overhead cabinet doors and trim work are made of a marine grade polymer for excellent durability. 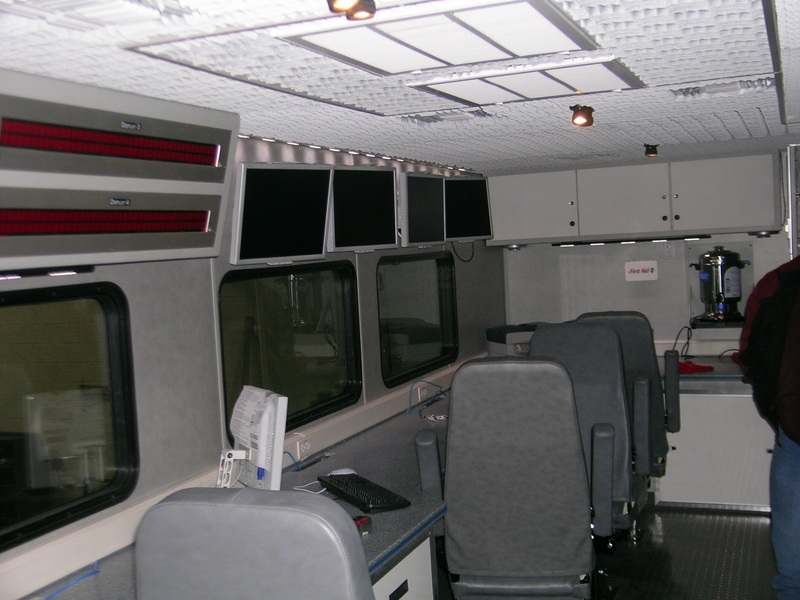 SONEXone™ Baffles ceiling acoustic tiles are an excellent sound absorption across all frequencies and helps prevent noise buildup making the data van much quieter. This foam material is a CLASS 1 Fire retardant for flame spread and smoke density. Avonite Solid Surface counter top provides a clean, smooth, very durable surface. 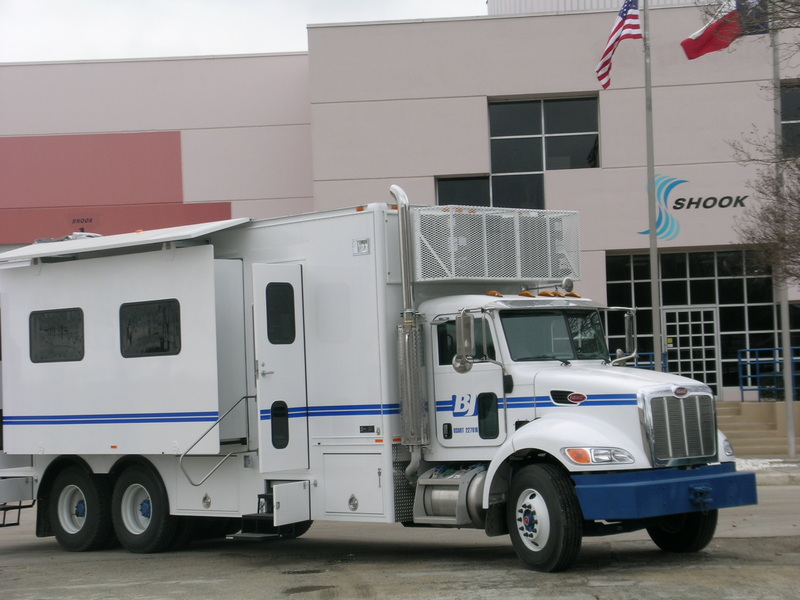 System Integration - Shook Mobile Technology provides complete satellite and electronics integration.